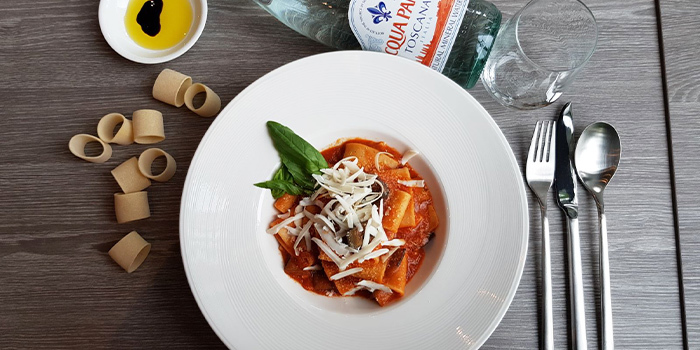 Tucked away on Stanley Street, find a celebration Italian fare and culture at Trattoria Amanda, where authentic flavours and comfy home-cooked dishes will whisk you away to the charming heartlands of Italy. 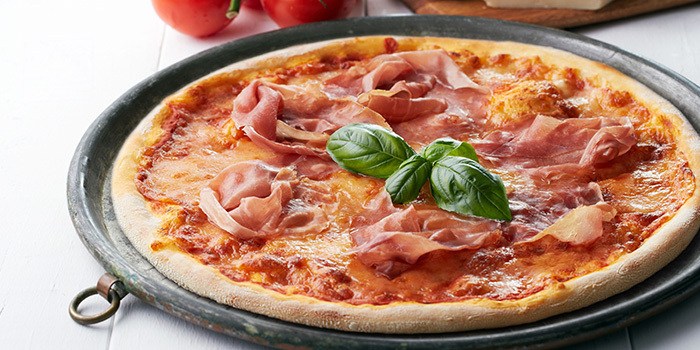 Whether it’s a simple Margherita pizza or a heart calzone, pizzas here are not to be missed: sink your teeth into generous portions of ingredients and a dough which strikes a compelling balance between crispy and chewy. And who can forget the other quintessential Italian staple - pasta? Mastery is yet again revealed through the luscious sauces and perfect, al dente oodles of noodles, with famed favourites including the Paccheri Di Gragnano Al Branzino, a traditional Napoli pasta topped with a perfectly-seasoned sea bass, black olives, anchovies, and capers, and the Tonnarelli Di Seppia, featuring a tonnarelli (think a thicker, square version of spaghetti) tossed in a decadent squid ink sauce. And with a intriguing selection of wine and Italian craft beers such as the 32 Via Dei Birrai, who can resist some tipples? Find yourself free before dinner? 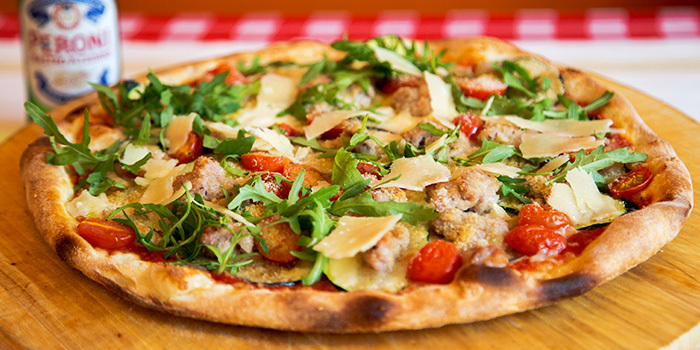 Pre-purchase Chope Vouchers for Trattoria Amanda and get 10% off. This offer is not valid with 'Chope Exclusives', other discounts and promotions. 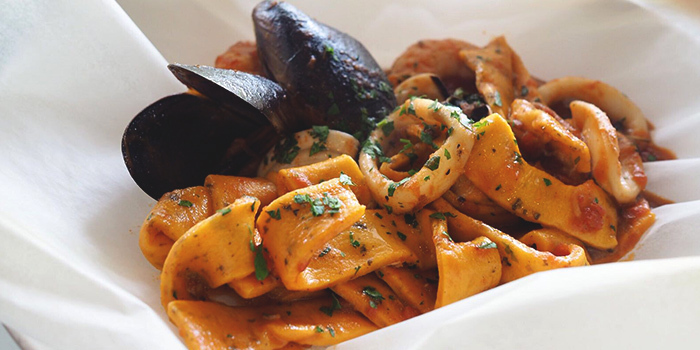 At Trattoria Amanda, we believe in serving fresh, natural, and authentic Italian fare. Our new dinner degustation menu of either 4 or 6 courses brings you a unique dining experience that allows you to savour different parts of Italy in bite-sized portions. Enjoy your dinner company and leave our chefs to create wonderful dishes made from the fresh offerings we have that day, as well as an elevated twist on signature Trattoria Amanda dishes. Great for a romantic dinner date, important business meetings, or a celebration with friends and family. 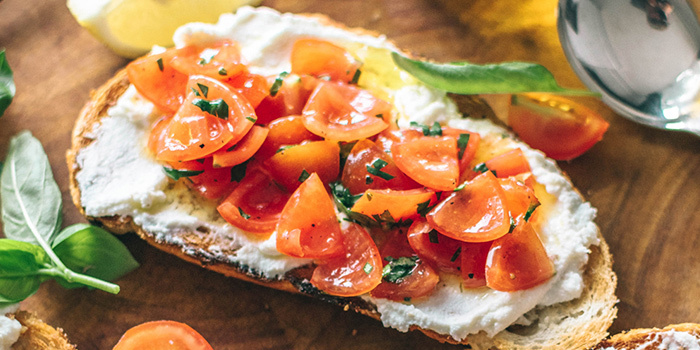 We welcome you to take a bite of Italy with us!